With refreshing ocean views and home-style décor warmed by terracotta floors and glass walls, Kitchen Windows provides the perfect setting for idling the day away watching local talent surf up the waves. 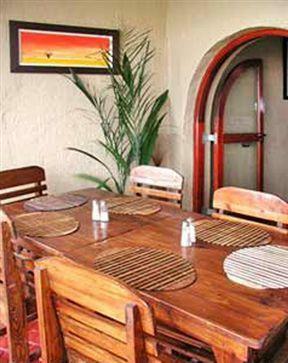 Savour the delectable a la carte menu with local favourites such as kingklip waleska, baked in a wood burning oven, smothered in a sauce of white wine, garlic, fish stock and a trio of cheeses baked on top. The chicken and prawn butter curry is a refreshing alternative followed closely by some of the best steaks in the country. 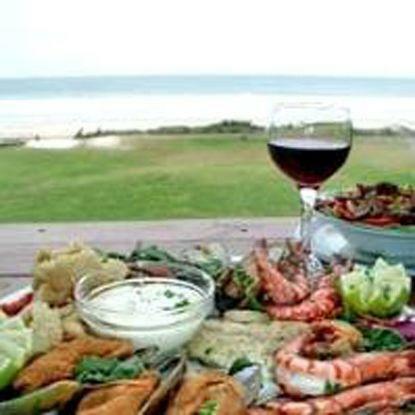 Conclude the meal with brilliant home made deserts and a stroll on the beach in Jeffreys Bay.